How do we know when backflow happens? When a municipality has hundreds of thousands of water customers - residential, industrial, and commercial - it's difficult to keep up with all the information from meters and valves. 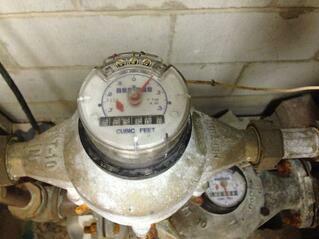 Automatic meter reading is a relatively new technology to streamline this process and backflow prevention. A water district that has this sort of system is able to monitor and analyze meters in real time. There are even more advanced "smart grid" sort of systems called advanced metering infrastructure (AMI) that allow two way communication between the customer and the water utility. It can even be used to disconnect the water service remotely, which is especially useful for stopping or containing contamination. WaterWorld Magazine wrote an article on AMI discussing the benefits here. In using these new technologies, water purveyors have found something unexpected. A surprising number of meters sometimes run backwards. The most basic explanation of backflow is the flow of water in an unwanted direction. Basically it's water being returned to the supply. This is dangerous because of the various ways customers may use that water. There are so many ways water can become contaminated from lawn fertilizer to chemicals at industrial plants to medical materials. Backflow prevention is the responsibility of water purveyors. Now advanced metering infrastructure can help to make that crucial job somewhat simpler. Analyzing the data from these systems reveals information about the public water system's health. Backflow occurs for a couple of different reasons. Municipalities across the country are changing the way they do things. Read about the latest trends here. One cause is low pressure. Low pressure in the public water system is siginifcantly more common than may be expected. It happens at night, when the demand is low, and it also happens in many older cities that have massive but partially outdated piping systems. Both of these scenarios can cause the water to flow backwards simply because there isn't enough pressure to actually push it in the right direction. Analyzing the data collected from an AMI system can alert purveyors to problem areas that chronically have too little pressure. Data can be collected quite often, even hourly, so it can be analyzed later to find leaks, backflow, and other issues. This data can show the water district meters frequently running in the wrong direction and they can take steps to fix the problem. The other common cause of backflow is a reverse pressure situation. This has a variety of causes, and a simple one is overheating. In particularly warm weather, back pressure is definitely a worry. Once again, analyzing data is the key to sorting out problem areas in the vast piping systems. The new availability of data doesn't solve everything, though. First, in order to locate and then make plans to remedy problems, water utility personnel must be analyzing the data. They have to be actively looking for problems. AMI doesn't have systems in place to automatically detect problems then alert the staff. Sure, problems could be located in real time if they are noticed in real time. Typically, it's just a matter of identifying trends after the fact. However, once it is found, the two way communication with the meter makes it easy to shut off the water automatically so the problem doesn't continue while staff is on the way to fix it. Basically, this is to say that the technology just isn't perfect yet. The biggest hurdle with AMI is that this technology can be cost prohibitive. Very few districts have had the means to upgrade so far. Other than the price tag, installing an AMI system is relatively simple. Once installed, it actually can reduce the cost and burden on the water district. A common problem for water purveyors is leaks, which are also difficult to pinpoint manually. AMI can be used to find them faster, which saves districts a lot of money alone. AMI systems are worth it because meter reading becomes automatic, it's easier to find leaks and other problems, and the system allows two way communication with the meter. 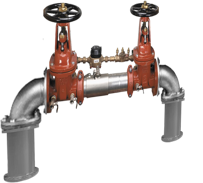 Using advanced metering infrastructure can be an enormous help in locating and eliminating backflow caused by a variety of factors. If the water utility can see meters running backwards, they can do something about it. Surprisingly, negative meter readings are not typically a selling point of AMI manufacturers. The problem is that water purveyors do not like to publicly talk about this problem and it's prevalency. After speaking with cross connection control managers that have installed these systems and realized how many meters are running backwards, I've learned they are worried about starting a panic. It is not something people want to talk about. Because of this, it's more difficult to convince customers that AMI will benefit them with increased water suppy protection. Water utilities have to be able to fund water supply improvements. It is the water works industry's responsibility to talk about these things and make change happen. Don't turn away from protecting the water supply.